“I want to learn as much as I can so I can help develop the latest medical techniques in corneal disease in Armenia,” said Dr. Ani Hambardzumyan. An ophthalmologist for over 20 years, Dr. Hambardzumyan has dedicated her life to offering the best eye care possible in Armenia. With the assistance of the Armenian EyeCare Project, Ani has advanced her medical education and training and shared her knowledge and medical skills with her peers in Armenia. In 2004, Dr. Hambardzumyan was presented with an opportunity for a fellowship to study her subspecialty — Eye and Tissue Banking — sponsored by the EyeCare Project. 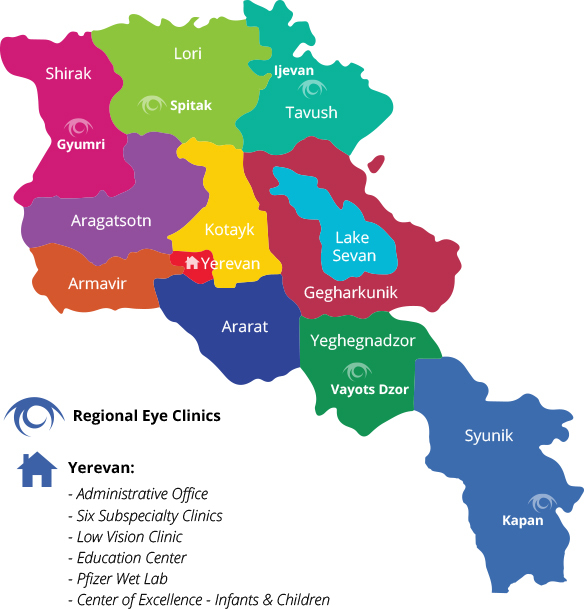 Following completion of her fellowship at the Central Florida Lions Eye and Tissue Bank in Tampa, Florida, Dr. Hambardzumyan returned to Armenia to establish Armenia’s and the Caucasus’ first and only Eye Bank located in the Corneal-Uveitis Clinic at the Malayan Ophthalmological Center in Yerevan. 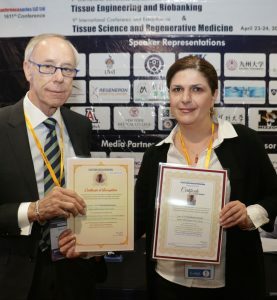 Last April Dr. Hambardzumyan was extended another opportunity by the EyeCare Project to continue her medical education by participating in the 9th International Conference and Exhibition on Tissue Engineering and Biobanking in Las Vegas, Nevada. “The conference was very interesting and I learned a lot,” said Dr. Hambardzumyan. Covering topics from blood banking to improving wound healing and regeneration of stem cell culturing the event enabled Ani to gain knowledge and share innovative ideas with her medical peers and experts in the field — information she took back to Armenia with her to benefit her patients and teach her colleagues. 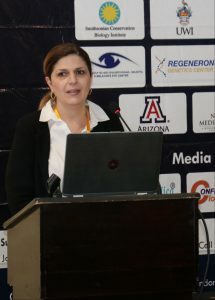 In addition to acquiring new medical techniques, Dr. Hambardzumyan also contributed to the conference in a keynote presentation on corneal pathologies. She chaired two panel discussions and received certificates for her contributions. 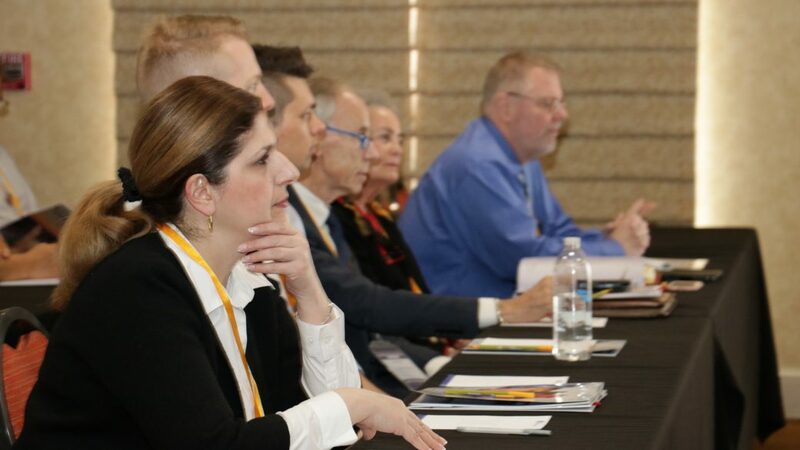 While discussing her work Dr. Hambardzumyan emphasized that with more than 50 patients on a waiting list, the greatest need in the Corneal-Uveitis Clinic are sponsorships of corneal transplant surgeries for her patients. With access to eye care, the greatest challenge facing Armenians today is the cost of care. Patients cannot afford the $800 surgery and desperately need the transplant to save their vision. “These patients are very poor and it’s evident that they really need our help,” said Dr. Hambardzumyan. She continued by saying that each patient’s face lights up when they are told that they have received a donation from the EyeCare Project to sponsor their surgery. With dedicated physicians like Dr. Ani Hambardzumyan, and the Project’s continued focus on medical education and training, we have the tools to provide patients in Armenia with quality eye care. All they need now is someone to underwrite their surgery. If you would like to contribute to our Cornea Transplant Program, please donate or contact us to discuss.